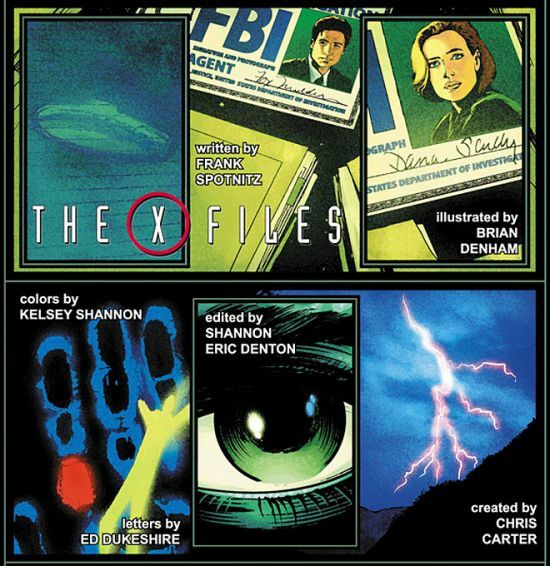 Had popped in to OKComics for one of our usual (increasingly) surreal, bizarre and incoherent conservations last week when I overheard one of their regulars discussing the X Files comic. As a HUGE fan of the series; I knew I’d have to read it. The X Files was one of the first shows that I became OBSESSED with. I’d rush up to the video shop every week and eagerly had over my pocket money to borrow a homemade copy of three or four weeks worth, adverts included – if Im honest with you – the adverts made it better. It was the first show I’d memorize sections off my heart for. The first show I cut pictures out of magazines for. And my first major crush. Oh Fox…sorry Mulder…I was smitten from the start.